Send six perfect, giant-headed ruby red rose stems nestled delicately in our signature gift box to a special someone this Valentines Day. Designed by our florist alchemists of love to achieve maximum heart flutters and blushing cheeks, this romantic gesture contains all the elements required for a magical Valentines. Why not add a little box of chocolates to sweeten the gift? 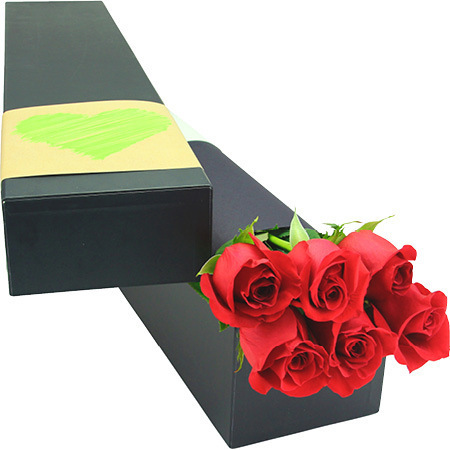 Order our half dozen red roses and any additional Valentine`s gifts online or give us a call on 1800 66 66 46.